CSMA’s award-winning in-school Art4Schools curriculum develops hands-on technical skills and an understanding of the language of art, while also teaching art appreciation and cultural understanding of art and its history. 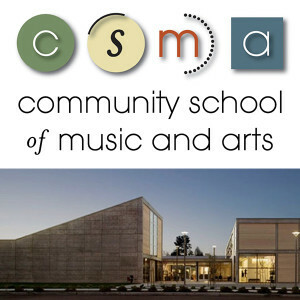 CSMA’s professional art teachers guide and encourage learning and creative expression through sequential lessons in drawing, painting, sculpting, and more. All art classes teach a concept such as line, shape, or color, as well as develop basic technical skills. Lessons are often inspired by a cultural or historical context that encourages students to explore new worlds and view life from other perspectives. Art lessons also coordinate with classroom curriculum to become an integral, enriching part of each child’s education. In addition to developing individual creativity, skills learned through art education improve development in other subjects, build self-esteem, and develop cultural curiosity, critical thinking, and creativity. End-of-the-year student art exhibitions present more than 15,000 pieces of art created by every child in the program and let students experience the joy of sharing their artistry with family and friends. Community shows throughout the year exhibit student work at local libraries, businesses, school district offices, and other venues.